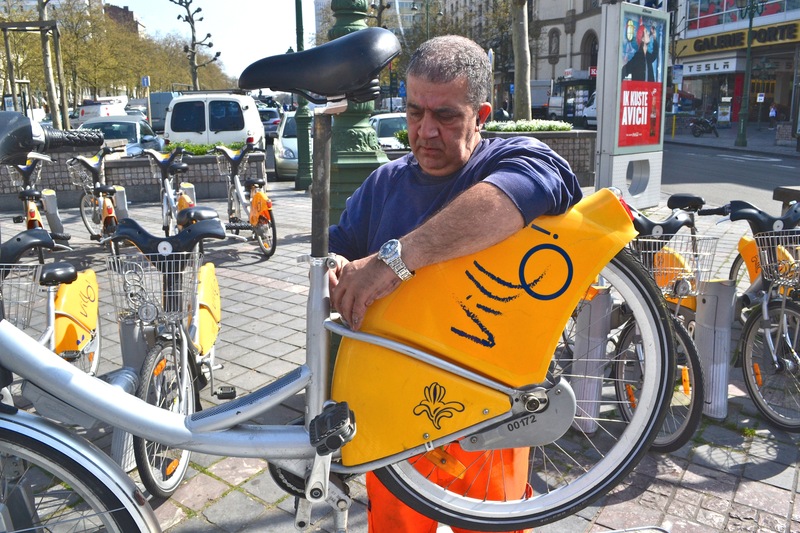 Photographer’s notes: Check out the hundreds of Villo bikes in Brussels and then consider the range of riders, the scope of rising, from the careful ride down a hill to the abusive pounding over curbs and repairs, maintenance, has to be a constant. This entry was posted in city bike, city bike program, Europe and tagged 2015, Belgium, Brussels, May, Villo Velo. Bookmark the permalink.